As of January 2019, there are over 4 billion active internet users. With that many digital users, you’re going to want to bump up the visibility of your website to stand out from the rest. You have the choices of making a mobile-friendly site and exploiting social media. You can use long-tailed keywords and engaging photos. These are obvious alterations. One of the less-known means is about using the right anchor texts for your backlinks. 1. What is Anchor Text? When we say anchor text, people often think of blue, underlined, clickable words. They also always bring you to another webpage. The term ‘link’ or ‘hyperlink’ may come to your mind. You are correct. That’s a link. The anchor text is only part of a link, referring to the visible words on a webpage. Think of the anchor text as the face of the rest of the link. Everything else is visible only to the web developer and search engine crawlers. In theory, it’s possible that any and all text anchor a link. Still, your best strategy is to choose the best text in your content as anchor text. Some years ago, some SEOs could have up to 100% exact match anchor texts for all their backlinks. Google recognized the spamming nature of these links and anchor texts as keywords. This was how some pages shot up in ranking back then. Google had to do something about this chaos. In 2012, it launched its Penguin update. Penguin penalizes pages that practice anchor text spamming. It targets websites with unnatural links, keyword stuffing, over optimization, and cheap link schemes. To check for these ranking schemes, Penguin looks first at the link’s anchor text. A normal webpage cannot have all its backlinks with the same anchor text. In a similar way, a normal webpage shouldn’t have its anchor texts all leading to a singular external link. Expect your website to rank higher with the right anchor texts. This is because anchor texts give clues about the linked content. The better you phrase your anchor text, the more relevant it will be to your linked content. That is not to say you can use anything as your backlink. Backlinks are the lifeblood that keeps successful SEO campaigns going. Anchor texts are the veins that make visible connections. Anchor texts are applicable to all types of links. As a note, anchor texts matter to links that are both inbound and outbound. Focus on anchor texts for strong and relevant backlinks. There are many types of anchor text you can get creative with. Exact match anchor is the exact match of your target keywords. This will increase your rankings, but it may also land you a penalty. It’s great but risky. The most flexible type is the partial match anchor. This feels more natural in linking. It’s your keyword plus add-on text. In contrast, the LSI keyword type uses thematically-related keywords. LSI keyword stands for Latent Semantic Indexing keyword. It’s the related searches list at the bottom of your Google search page. Generic anchors prompt your readers into clicking them without giving them an idea about where they’re going. Often they are words like “read more” or “click here”. Branded anchors use a brand to carry the link. When you’re linking to an article, you can use the article title anchor. Putting an article title into your page may prove to be challenging. Be creative or write something like “read on (article title) here”. Images are easier to integrate. Instead of text, use an image to link. Your anchor text still exists but it’s in the alt tag for the image. Naked URLs are not a popular choice. Short URLs work but longer ones won’t look good on your page. Observe how the most connected pages do it. Use a combination of these anchor types. Get more search engines to mark your pages as reliable. The following are a few more tips for great strategies for anchor texts. As stated above, you want relevance in your link building. The best way to do this is to place your target keywords as close to the anchor as possible. While there is no such thing as the best anchor text, there is always the most fitting usage of anchor text. We gave you 8 different types of anchors to choose from. Do note that exact match anchors have powerful advantages and powerful cons. Your safest bet is to use as few as possible. The important thing is to be strategic with them. What if you want to know how many sites link to you? Use an anchor text checker. There are also sites that check the diversity of your anchor texts and keywords. When you have more than one page, you will often have a subpage focusing on a similar topic as your other page. Google may get confused when you have keywords that are like each other. In this situation, choose one page for your keywords. Let’s say you’ve gotten some penalties and you want to remove some links. You have the choice to disavow links. Be mindful when you do this because this should be a last resort effort. What is anchor text and how do they affect your site? Hopefully this guide provided all the answers you seek. Understanding how to use the right anchor text enriches the backlinks you make, boosting your on-page SEO efforts. Did you enjoy the read? Do you want to know more? Discover more about SEO and backlinks by checking out our other available guides and blog posts! Check out this one listing sites where you can create free backlinks. We’ve got 20 high-domain site suggestions for you. When your page shows up at the top of the search engine, you’ll get 33% of clicks. 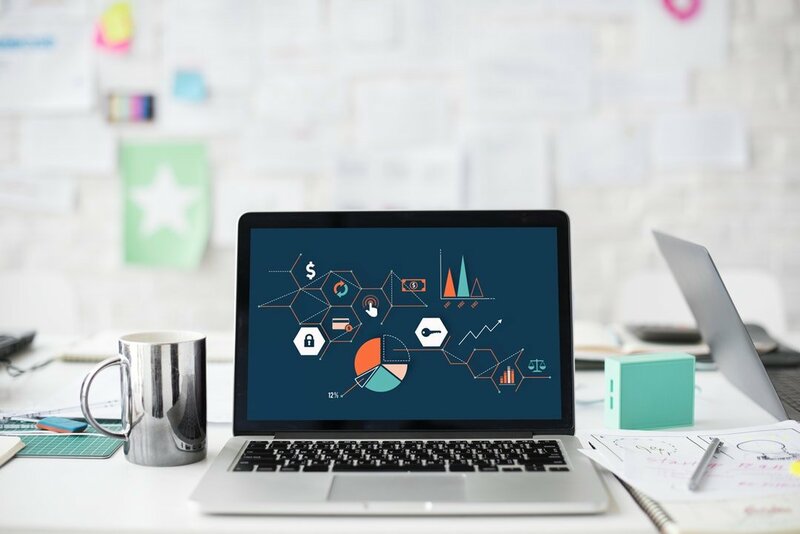 To get to the top of the search engines, we all know that your website needs to have links, but what types of link building strategies are most effective? If you don’t understand the benefits of the various types of backlinks, you could miss out on great opportunities. Continue reading this article to learn about the types of links and how to build them. The following link types will help you build out a well-rounded link portfolio if you use them appropriately. Keep reading to learn more. Forum profile links are pretty easy to get, but you do not want to abuse them. When building forum links, you should only link from relevant forums. You shouldn’t link in a spammy way as most forums only allow these links in your profile or in the signature. Linking from Web 2.0 properties like Blogger and Tumblr are great tactics. You can create your own mini blog there to link back, or you can find other people that have content there and get links. If you can get in on a pre-release of a product you would like to use; you can add a testimonial. Often when sales pages have testimonials, they will be glad to drop a link to your website below your testimonial and name. If the page gets a lot of traffic, you may get some traffic as well as the link juice that comes from the link. Guest post links are powerful links, and you can build as many of them as you’re willing to reach out and grab. Guest posting requires a lot of outreach to other bloggers. You pitch them on a great piece of content in exchange for a link back to a page on your website. If you don’t want to do your own outreach, you can work with our company, and we can secure guest posts for you. Many business owners find outreach highly time to consume and want to put their efforts toward growing their bottom line. Press releases are very official, and as such, they can end up on some pretty authoritative news sites. If you write your press release well and submit it to a bunch of sites using a press release submission service, you can get hundreds of links with one submission. Since news is often shared on multiple sites and is very similar, press releases usually don’t cause any problem being duplicate content. Finding industry relevant directories to submit to will help you get in front of people that may be searching for you. Besides for getting in front of people that may be searching for you, it also tells search engines that you are relevant in this industry. The more signals you can give search engines on what your site is about, the easier it will be for them to figure out where to put you in the rankings. If you aren’t using video marketing, you’re missing out. Video marketing gets more attention and can convert better than textual content. When you’re using video to get attention, you can link from a video on YouTube to get more links. You can put links in the description, or you can use cards to link to your site. If you want to link to your site from your YouTube video, you’ll need to verify your website and get it approved. Bookmark site links are another way to show search engines people care about your content. There are some of the more popular bookmark sites like Reddit and Digg, but there are other smaller sites that you might want to include in your link building efforts. When you look at your link portfolio, you can see if you have enough bookmark links or if you can handle getting some more. Bookmark links are easy to build in most cases but make sure you don’t overdo them since it will look unnatural. Resource pages are a powerful place to get your link listed. Resource pages usually are set up for people that want to buy something or use a service. If your company has an eCommerce site or a service page, you may be able to get customers directly from the traffic from the site. One way to get links on resource pages is by using “broken link building.” Broken link building is when you scrape relevant sites to find broken links. The links should have linked to a page that is similar to the content on the page you want to build links to. You’ll get a backlink, and they will get a good resource for their audience. They are often happy that you helped them find a broken link and glad to oblige. Another abused source of links is comment links. If you have a website that allows comments, you’re likely to have a spam folder full of comments. If you don’t abuse comment links and instead offer helpful comments or questions, people are more than happy to approve your comments. Webmasters want engagement on their posts and usually, don’t mind you linking back to your site in your name. Tired of buying links that don’t work? Not all links are created equal. You want to make sure you understand the thought behind a link strategy. Instead of wondering if you know that you’re doing, you can use our services to get the results that you want. Look through our pricing and details page to see which option is the best for you so you can get the results you want. You know SEO is important to your website, but do you know how to create an effective SEO strategy? One aspect of SEO that confuses people involves their link building practices. With more than one billion websites for people to choose from, link building is essential to make your site stand out. To make this strategy work, you need to create quality links. This means understanding the top link building practices and avoiding common mistakes. So, what are the common link building mistakes? There are 10 linking practices you should avoid. Linking is the practice of creating links to your content on other websites and pages. This helps build your site authority and increase traffic. 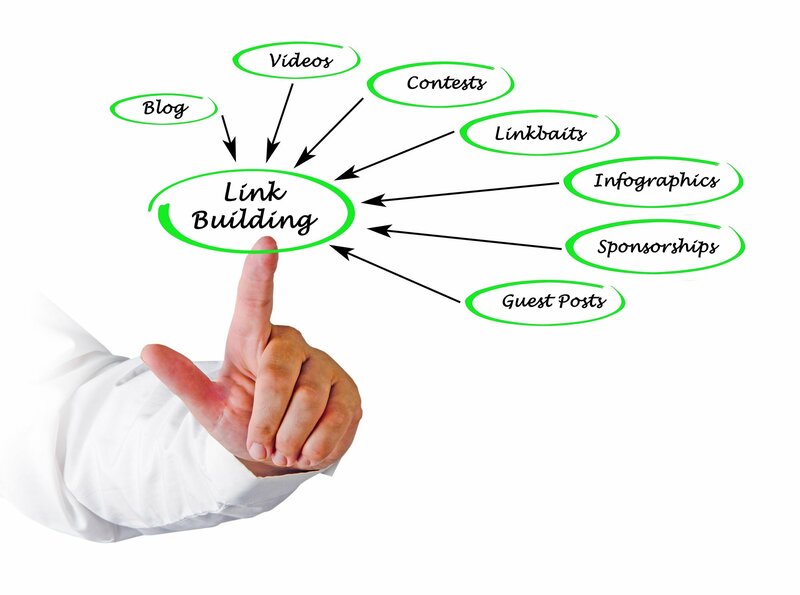 Link building increases website traffic in two ways. First, the backlinks from other sites help Google rank your content as more relevant, moving you up in the search results. Plus, the links drive traffic from these other sites to your content. Link building is a slow process. It can take up to 10 weeks for a backlink to affect your rankings. While the process is slow, once the backlinks start affecting your ranking, the results will only improve. If you get frustrated and start making mistakes with your link building though, you will negatively affect your rankings. It’s important to make sure Google doesn’t suspect your site of black hat SEO practices. These are the disreputable practices that seek to trick search engines and users with false keywords and content. To avoid even the appearance of deception, it’s important to pay attention to how you build those links. This means avoiding those mistakes that can put you on Google’s bad list. Poor-quality content decreases your chances of getting backlinks. It also hurts your rankings in the search results. If people don’t find your content informative enough, they may refuse to link to it on their site. This decreases the number of links built on authoritative sites. Content without value also increases your bounce back rate. This will cause Google to move you further down in the ranking. Make sure your content answers a real question. You want to include enough detail that you add something to the topic. You don’t want so much detail that you drown out the point though. Google looks for natural links when ranking you based on backlinks. If you only link to your homepage, this looks like you’re just buying links to your page. You need to link to different pages on your website. Diversify your link building strategy so your backlinks look natural. You also want to diversify the types of links you use. Diversity gains ranking. If you only link to the same type of material, it looks fishy to Google’s algorithms. Make sure you link to different pieces of content. Pick several pieces of content that you want to rank. Spread out the use of these pages so your links appear more natural. If you use the same anchor text for every backlink, Google could see this as a link building scheme. They will penalize you in the rankings for this. Make sure you use different keywords when building your links. Try using your brand name and variations of the brand name. Also, try using variations and connected terms for your major keywords. You also want to avoid anchor texts that have nothing to do with what you want to rank for. Linking to wording like “check out” or “learn more” does nothing for your site ranking. You want to do research to find a selection of keywords that fit with your niche. Mix these keywords for different backlinks so you can show relevancy to a particular topic. A handful of backlinks from authoritative websites to high-quality content brings more value than hundreds of links using the same anchor text linking to thin content. Plus, if you suddenly have a big jump in the number of backlinks, this can come across as another linking scheme. Make sure you spread out your backlinks. This means spreading out the number of sites that link to your content. It also means spreading out the content you use for links. It might sound beneficial to do a link swap with another website, but this is a no-no with Google’s algorithms. If you’re caught swapping links with websites you will lose your rankings. Make sure people are linking to your site on their own. This doesn’t mean you can’t link to someone who’s linked to you. It just means don’t make this your way to get links on other sites. If you have too many low-quality backlinks, your pages won’t rank. Make sure you link to websites that bring value to your links. Some websites will link to your content, but they’ll add a nofollow tag. This tag tells Google that the link is irrelevant to its ranking algorithm. You want to make sure that you have plenty of dofollow links on other sites. This doesn’t mean nofollow links are worthless. You can still gain traffic from these sites. Just make sure that’s not all you have. Link building isn’t just throwing the links into the world. You need to track how those links perform. Tracking links helps you identify which links work and which don’t. Tracking helps you know which links you need to capitalize on. This also helps you determine which links to update or retire. Plus, this helps you know which websites are working best for your link strategy. Building up top links to your website is just one step in the SEO strategy. You want to make sure you have a full strategy in place to get the best results. If you need help with this, contact us for a free SEO consultation. What Is Keyword Stuffing and How Can It Kill Your Business? Can’t seem to get a higher rank for your webpage? Have you experienced getting a penalty for your website? One of the reasons may be keyword stuffing. If you have a business, chances are you also have a virtual space for it. 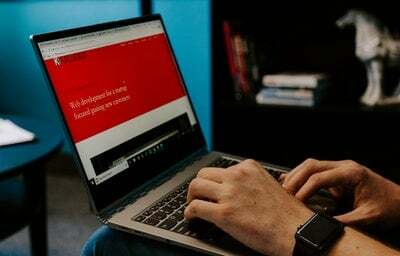 As of 2018, a website is the most popular digital marketing channel for small businesses. Yet, many web pages practice this black hat SEO technique either due to lack of knowledge or because they want to get ahead of the competition. But what is keyword stuffing and why shouldn’t you use it? How does it kill your business? 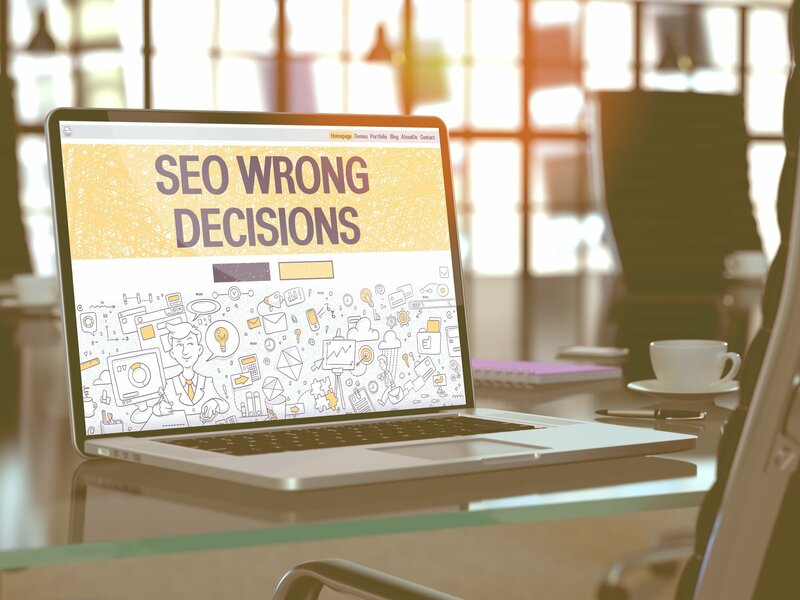 Why is it considered one of the worst SEO practices? 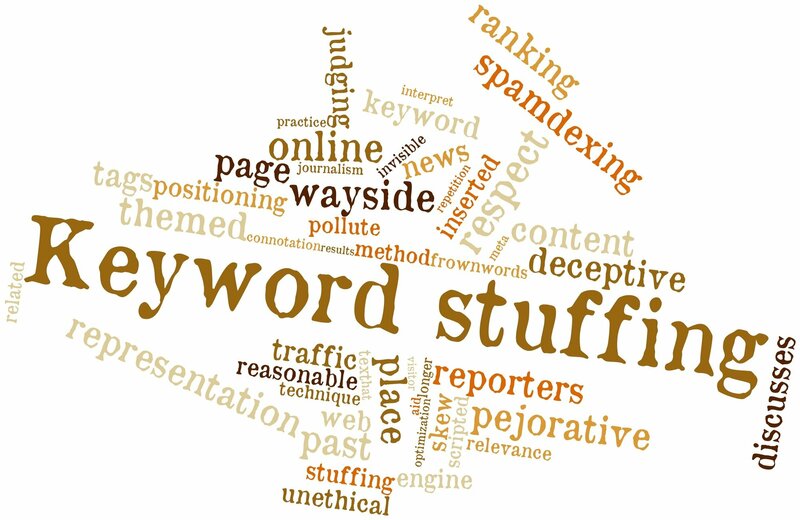 Read on to know more about keyword stuffing. We’ve also included some tips on how you can avoid it. 1. What is Keyword Stuffing? Have you ever experienced eating too much to the point that you feel stuffed? It doesn’t feel good and it isn’t healthy for you. Think of keyword stuffing like overeating but for your business website. The logic of keyword stuffing is to create content for a page filled to the brim with keywords. When this happens, the page has a chance to rank high in search results. When that page ranks high, odds are it will have more traffic. It sounds great in theory but it doesn’t work that way anymore due to updates and changes to Google’s algorithm. We’ll talk about that below. If you are in the market for fashionable hoodies for women, look no further because we’ve got the best fashionable hoodies for women ready to order. Our fashionable hoodies for women come in many sizes and colors too. Feel free to browse through our selection of fashionable hoodies for women here. It doesn’t look good, does it? Your content looks overloaded with repetitive key phrases. To the machine, your content should top the search results. To people, those key phrases make your content unappealing and your page superficial. It may promise a burst of success in the search engine results, but it only works in the short-term. In the long run, it’s not worth your time and effort. 2. Why is Keyword Stuffing Bad? Google doesn’t like it because it’s unethical and ineffective. Google’s updates focus on providing quality and relevant information to users. Also, keep in mind that keyword stuffing can often bring traffic to malicious or fake websites. Another keyword stuffing SEO practice is to hide keywords on the page. These words might have a font color that matches the background, have zero font size settings, or have images placed over them. Hidden keywords are often irrelevant and commonly-search phrases. Even if this SEO technique beats the search engine algorithm, what are the chances that your visitors won’t get tired of reading the same phrases over and over? As you’ve seen in the example above, it gets monotonous and tiresome to read the repeating words. Remember, your primary target audience is people, not robots. What will happen if you over-optimize your website with keyword stuffing? The least that can happen is that you only get penalized. It also means your website might get demoted in rankings. The worst thing that can happen is Google will remove your website from its index. When that happens, your site won’t appear in search results at all. That’s your time, effort, and money gone. Apply keyword stuffing and there is a big chance that the traffic to your website may disappear. Don’t know how to check for your website traffic? Use Google Analytics, their in-house program to monitor your site’s performance. It also ranks as the biggest third-party domain on the web. So how do you rank up your webpage without resorting to keyword stuffing? Focus on your audience. As a reader, imagine what you would like to see in a webpage that offers what you’re looking for. You want to give them quality content, not a boring one. That is not to say that you should use only one keyword throughout your page. Keyword stuffing is different from the responsible usage of keywords. With many things in life, use keywords in moderation. A safe way to insert keywords is to look at your keyword density. Keyword density at 2-5% is your best bet. Don’t forget to insert your keywords into the content in the most natural way possible. Another way to get around keyword stuffing is to use synonymous phrases. This is helpful if you’re finding it difficult to not overuse your keywords or key phrases. Paraphrasing key phrases is another good option. If you want to be more creative, use long-tailed keywords. They will feel more natural to your readers. Also, they are wonderful choices for hitting the right keyword density. If your keywords might have other meanings in a different context, then you might attract the wrong visitors. A customer looking for a sewer to hire might find a page for sewer drains instead. To avoid this, add other terms or words related and relevant to your content. You can look up popular keyword searches for your products or services. Note that a high keyword search volume for your product can also mean more competitors. This is where your awesome and creative content comes in. What is keyword stuffing? Hopefully this guide helped you understand how dangerous this practice is for your online business. Don’t do it because as explained, Google’s algorithms will penalize you for it. Users will not enjoy your content and will bounce out of the site. Putting those two issues together and soon enough your pages will rank down instead of going up. Focus instead on proper keyword optimization. Did you enjoy the read? Want to know more? Read our other blog posts for even more information on SEO, link building, and backlinks! Here’s a post to help you deal with traffic and revenues drop. One of the reasons may be a core update of a search engine like Google. Our guide will help you recover from an algorithm update. When most people think of search engine optimization, they think of on-page SEO. We’re talking about meta tags, keyword-focused content, and the like. One of the most common mistakes companies make is ignoring off-page ways to boost your traffic. Of all the off-page SEO techniques, backlinks are among the most crucial. A backlink, or a link from another site to your site, tells search engines you’re a reliable and referral-worthy source. The challenge, of course, is getting other sites to link to yours. If you aren’t sure where to start, here’s your guide to getting the link advantage. Before we talk about direct ways to get backlinks, we need to start with underlying key: your content. First things first, your content needs to up valuable. It should be genuine, original, and informative. You’ll notice most of the tips below are ways to get your content out there to inspire backlinks. This effort will go to waste if other sites’ curators look at your content and see no reason to direct their readers to it. If you aren’t confident that your content is up to snuff, now is the time to give it a makeover. Write new content like new blogs, or hire someone to do so. When you have plenty of great content to share, you can move on with backlinking techniques. There are plenty of ways to get backlinks if you know where to look. Start with these top strategies. 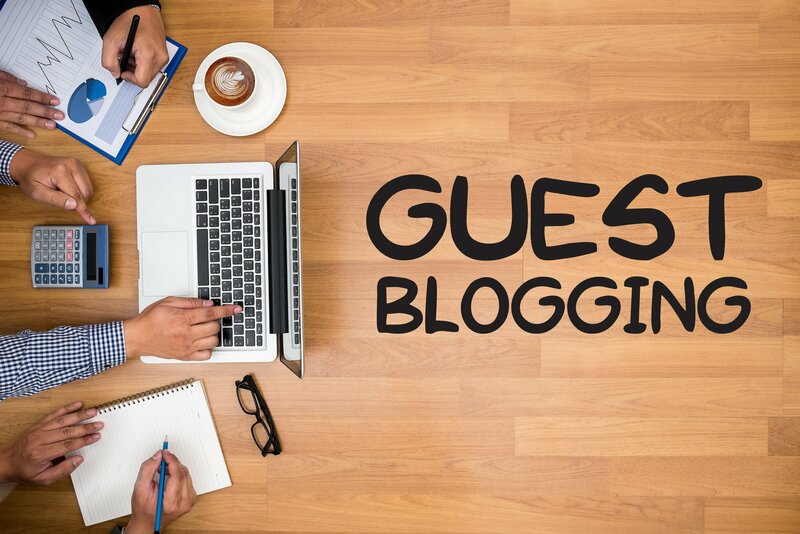 Guest posts are among the most genuine and useful ways to get backlinks. Writing a guest post involves writing a blog for another side and including a link to your site within the post. For example, let’s say you have a dermatology office. You may offer to write a guest post for a beauty blog about wrinkle reduction treatment. The content is relevant, original, and brings genuine value to the beauty blog while giving you a great backlink. It’s a win-win. In the process, though, be careful not to overload your guest blog with links to your site. One will do the trick, and it will avoid making your post look like spam. Make sure your content is high-quality too so you get invited to do future posts as well. Social media marketing is valuable in its own right, but it’s also a great backlinking technique, too. Throughout your social media marketing, be sure to share your best content from time to time. Paid ads can give your content more exposure. The posts themselves are backlinks which can help your SEO. In addition, though, they spread your content throughout the web which could bring you even more backlinks. Make sure you don’t focus your entire social media profile on your own content, though. Follow the 70/30 rule: 70% of your posts should be sharing others’ content while 30% should be your own content. Another great way to build your web presence with backlinks is through press releases. When you publish a press release, always include a link or two to your site because these links count as backlinks. Many companies neglect press releases but backlinks are just one way they can boost your business. The key is to publish a press release when you have something newsworthy. This could be a new product or service, an award, or an upcoming event. On top of offering its own backlink, a press release is one more way to spread the word and establish yourself as a resource. When you post a press release, make sure you reach out to local media about the news too. If they respond and ask for an interview, there’s nothing wrong with asking that they include a link to your site in the story on their website. Chances are you’ve seen at least a few of those spam comments on others’ blogs or even on your own. They sound something like, “Want to lose 20 pounds in 7 days? I did it with this miracle pill!” They always end with a link. If you’ve seen them, you’re probably groaning at the very idea of commenting on others’ blogs. If you do it right, though, it can be a great link building strategy. Follow blogs in your industry and comment with genuine, thoughtful input. It’s a great way to establish yourself as an expert and develop a relationship with the blogs you’re commenting on. Those relationships can lead to organic backlinks, but should you post a link in your comments? You can, but don’t do it in a spammy way. For instance, end your comments with a professional signature including a link to your site. Chances are you’ve already heard how helpful video marketing is. It’s engaging and a popular way your audience loves to get information. There’s another way it boosts your business, though: with backlinks. Dedicate part of your marketing budget toward creating informative, creative videos in your field of expertise. Post each of them on YouTube, and include a link to related content from your site in the description. You can get even more backlinks for your videos if you add transcripts to each video. Within the transcripts, include links on relevant keywords. In addition to the backlinks themselves, these videos will also help you generate more notice and more traffic overall. As any marketer knows, there’s no magic formula for a successful business. It takes a variety of tactics that you continue to maintain and revitalize time and time again. SEO is no exception. Backlinks are crucial for your site’s performance, but it’s an ongoing project. As helpful as it is to build a structure of backlinks, you need to keep using the techniques above for years to come to get fresh links, too. If you’re ready to get the link advantage for your site, get started by buying great links today. Your new website looks like the real deal. But what good is that if no one can find it? Search engines have replaced phone books for nearly two decades. Now, more than 70% of consumers surveyed say they learn about a company from their official website. On top of that, Google now processes more than two trillion searches per year! The data is clear, so what are you waiting for? Stop putting off your optimization and make your business soar with these benefits of SEO traffic generation. Who doesn’t love the word, “free?” This is one of the most undeniable benefits of organic SEO. But, first. What’s organic SEO anyway? SEO stands for search engine optimization. Think of this as a big umbrella term for all the methods used to optimize a website for search engines. Organic, in this case, refers to any web traffic generated from search results, not pressed juice. If a Google user clicks on one of your links on a search page, this counts as organic SEO traffic. The challenge is to get your website in front of the visitors’ eyes. This means you need to get on the first page of Google each and every time. That’s what SEO is all about. Ideally, your website should have at least 50 web pages as well. This will help you rank for more relevant keywords in your niche. The best part is that you can do all of this for free! But if you want this grunt work to go a little faster, there are paid SEO tools and consultants that can help. The other side of the coin is paid SEO traffic generation. This is done through pay-per-click advertising, otherwise known as ‘PPC.’ Popular PPC services include Google AdWords, Bing Ads, AdRoll, and Facebook Ads. Like organic SEO, you also want to select and optimize your website and content with the right targeted keywords. However, with PPC, you make ads that target them. Notice those search results marked with the word, “ad”, next to them? That’s an example of an AdWords ad. Notice how the title and copy are optimized for a particular keyword. Unlike optimizing for organic SEO, which is free, you have to bid on keywords with PPC. This means, every time someone clicks on your ad, you’re charged for that click. Hence the name, pay-per-click. Both PPC and SEO target the same consumer base. Not only do you receive above-the-fold traffic, but PPC can also improve your organic SEO traffic generation as more visitors drive traffic to your site. This only helps you rank higher for your target keywords. PPC can also give you that surge of traffic you need without having to wait. Organic SEO takes time, but PPC can provide a more consistent traffic source as you continue to optimize for organic SEO. Since you pay as you go, PPC can be a cost-effective solution to getting your rankings up. PPC also has invaluable data to draw from. Especially, Google AdWords. Not only do you have access to a free keyword planner, but you can view the analytics behind each click. Brand new businesses greatly benefit from SEO traffic generation. The first page of Google is an indispensable tool for brand awareness. This is especially helpful for new brands on a tight budget. For example, if you’re a new essential oils site, ranking on page #1 for the keyword, “what are essential oils?”, is a good way to get your brand out there and establish yourself as an authority on essential oils. This type of keyword attracts a broader audience looking for information. You can also narrow it down to “decision keywords” for audiences who are trying to make a decision. Keywords that compare items are great for this. Not every niche is served by PPC and social media marketing either. That’s why many businesses rely on organic search results for brand awareness. If you’re optimizing for awareness, make sure your web page titles and meta descriptions are clear with call-to-actions. Feel more comfortable with social media marketing than SEO? Give yourself a little credit. You’re more of an SEO pro than you think! Google loves social media. Meaning, it factors social media activity into their ranking algorithms. This is great for social folks who love building tens of thousands of followers on Facebook, Twitter, and Instagram. Followers consistently share, retweet, and mention their favorite websites. But social media also creates valuable backlinks which Google loves. While social media links are usually tagged as “no-follow”, you can still build high-quality do-follow backlinks by regularly promoting your content on social media. The best way to attract backlinks through social media is to create content that’s highly shareable. For example, a recent study about Facebook content found that posts that were light, heartwarming, or inspiring are more readily shared. That’s why travel photos, exciting vacations, and ‘adventures’ do so well on social media. The study also found that quizzes don’t garner the amount of engagement they used to. But life hacks and cute cat videos are still going strong! 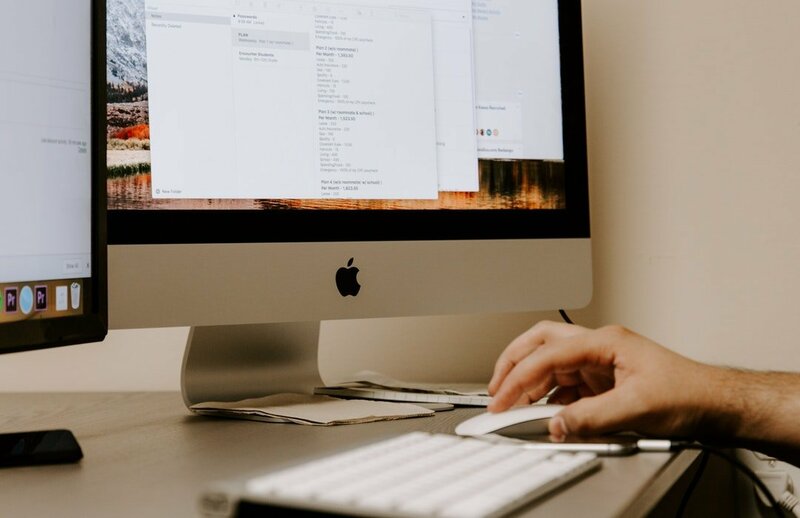 If you’re relying heavily on social media for marketing and SEO, make sure you’re spending your efforts on the right content. Feel a little less mystified about SEO traffic generation? What’s great about SEO is there are so many ways to go about it. There isn’t a one-size-fits-all plan, but there’s a lot of room to get creative. Use this article as a beginner’s guide as you optimize your site for search engines. Or talk to an SEO specialist to start ranking right away! 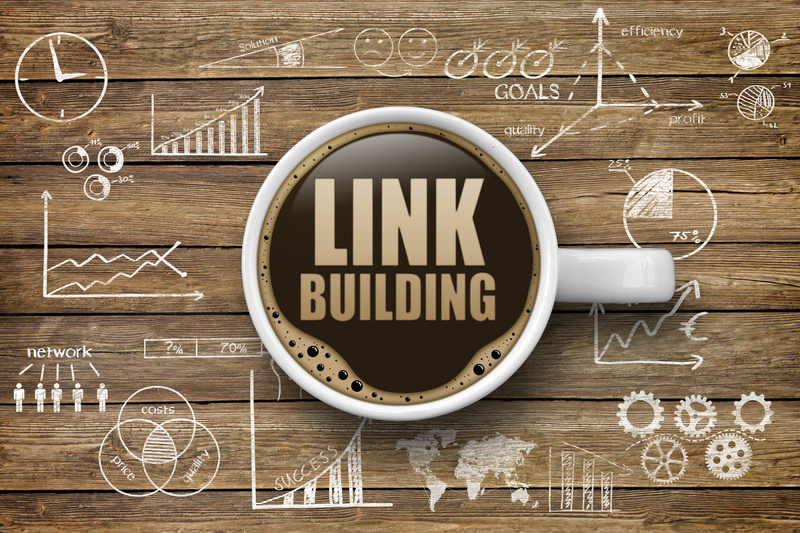 You’re always on the lookout for ways to improve your SEO standing, and you’d like to learn more about link building. But what is a web link, exactly? Furthermore, what are the best ways to improve your own linking strategy? What’s the difference between internal and external linking, and what in the world is backlinking? These are all great questions – and ones that we’ll certainly answer below. Read on to learn everything you need to know when it comes to the basics of building link profiles for your website. Then, learn about where you can get professional help with making it happen. What does building link portfolios and creating link building strategies mean, anyway? There are two basic types of links you can include in your content: internal and external. Internal links refer to the content of your own website. It might be a past blog post you’ve written. It could be a product page, a link to your testimonials page, or even a “contact” page. External links are links you include in your content to web pages outside of your own. When possible, try to avoid linking to just the homepage of another site. Take the time to find an external link that truly fits with what you’re writing about. Let’s talk more about how to do just that – and much more – below. It might sound obvious to some, but the most important thing to consider when you’re getting into a link building strategy is to keep your links relevant to the content at hand. Especially once you get deeper into the world of SEO, it’s easy to become obsessed with the idea of “link juice” and prioritizing the rankings of the pages you include over everything else. But don’t think for a minute that Google won’t notice that you’re cramming irrelevant links into your content in order to boost your page views. Not only will they know what you’re up to. They’ll also penalize you for it. The golden rule of including links in your site to do business is to make sure they relate directly to the content at hand. Think about including things like statistics, scientific studies, or even opinion pieces related to the topic you’re writing about. For context, let’s say you’re writing a piece about what to look for in delivery services. Including a link to the “get a quote” page of your courier service is relevant. A link that’s from a well-read blog but that’s on the topic of dog shows or shoe styles for the new season isn’t. While we’re on the topic of links to avoid? Never link to your competitors’ pages. That’s just taking business away from your own company and giving it to them. No, we’re not talking about your food (though that might be a good idea, too). Instead, we’re talking about your linking strategy. After all, you’re working hard to include internal and external links in your content. But that’s really only half of the battle. You also want to make sure that you’re creating content that other people want to link to when they write blog posts and other articles. This is what’s known as the process of getting organic links. These are links that you don’t pay for. Instead, these are links that you legitimately earn by crafting awesome and informative content. So, what makes you more likely to get these organic backlinks (when people link back to your website)? Let’s talk more about that now. You’ve learned about internal and external linking, and even know all about backlinks now. All that’s left to do is craft awesome content that everyone will want to share on their own sites. This is how you build your linking profile. First of all, never be afraid to ask for links, and to let sites know that you’ve linked to them. Everyone does it, and often, when you let someone know you’ve linked to their site, they’ll return the favor. You should also think about creating “linkable” content. In most cases, that’s data and statistics. After all, everyone is looking to prove the claims they’re making in the posts they write. Providing someone with a research study and hard numbers that do just that pretty much guarantees you links. Start doing some serious market research, and share your findings on your blog. Another way to get content that everyone wants to include on their own? Conduct interviews with industry heavy-hitters. After all, everyone wants to know what the best minds have to say. You should also write guest posts on popular industry blogs. This is a great way to link back to your own website and increase your overall readership. Finally, consider buying backlinks. Especially if you’re a newer site or a younger company, this is an amazing way to get your name out there. The same thing goes if you’ve had a serious uptick in your number of competitors lately. Building Link Strategies? Let Us Help! So, now that you know more about what building link strategies takes, it’s time to start thinking about your next steps. Whether you’re interested in buying links or selling them, we want to help make sure you get the most out of your linking strategy. Get in touch with us to learn more about how our process works. Ready to grow your influence, increase your conversions, and watch your profits soar? We look forward to helping you work to ensure that this year, it finally happens. Schedule your free link building consultation to start coming up with ideas and getting ready to dominate the search engine results.